Alfie is a native of Asturias, Spain and was a key component to the past success of the Austin Flyers. These previous achievements has made Alfie a critical piece of the Lonestar SC boy's success. With more than 30 years of coaching experience, he has worked with teams of all levels including college and professional teams. As a youth coach he has won many DI and SII State Championships. 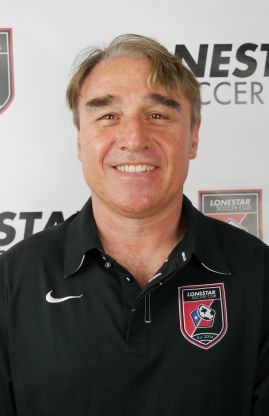 Other head coaching experience includes thirteen years with the University of Texas-Austin Men's Club Soccer Team where the team earned back-to-back National Club Championships in 1995 and 1996.